Criminal law is an area of law where a person is accused of an act that is considered a crime to the community at large and is thus punishable by a fine and/or imprisonment. This includes, but is not limited to: assaults, thefts, fraud, harassment, driving under the influence (DUI), the possession, manufacturing, or distribution of illegal drugs or narcotics, burglaries, robberies, and homicides. There are two different classes of crimes under Tennessee law: Misdemeanors (crimes that are punishable by a prison term less than one year) and felonies (crimes that are punishable by a prison term of one year or more). Understanding the difference between the two can often be confusing. Sometimes, a person may be charged with a felony when the evidence actually shows that they are guilty of committing a misdemeanor. However, many people are unfamiliar with criminal law and thus need guidance on what to do. Having an attorney is extremely important. In fact, as a former assistant Public Defender, I would say that it is necessary, since pleading to a crime can have some long-reaching consequences on your life. For example, did you know that once you plead guilty to a felony or misdemeanor, it stays on your record for life? Did you know that pleading guilty to a crime could have implications to your job prospects or future career, as a criminal history can prevent you from a career in nursing, teaching, and even as an attorney, just to name a few? Did you know that pleading guilty to or being found guilty of a felony means that you must voluntarily submit a DNA sample to the Tennessee Bureau of Investigation’s database? Or that you are forbidden from possessing a firearm? Did you know that some crimes, such as DUI, have a mandatory jail sentence, and cannot be waived by the court? If you are a regular citizen, you probably have no idea about the crime or crimes that you have been charged with, and thus you need someone to look to your interests. That is why an attorney is good to have. In many ways, criminal law is like a complicated game, and you are being asked to make decisions without anyone there to explain the rules to you. But an attorney already knows the rules, and can help you navigate the confusing and often stressful legal process. Why should you hire me as your attorney? Before opening my own practice, I worked as an assistant public defender for four years. 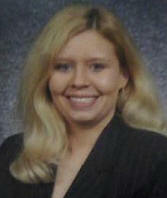 During that time, I represented thousands of clients for various crimes in McMinn and Monroe Counties. Not only am I familiar with the criminal system, but I am also comfortable in dealing with the criminal courts, the various police departments, and the District Attorney’s office. Should you allow me to be your representative, you will be zealously represented and all options will be explained to you so that you can best decide what action to take on your case.